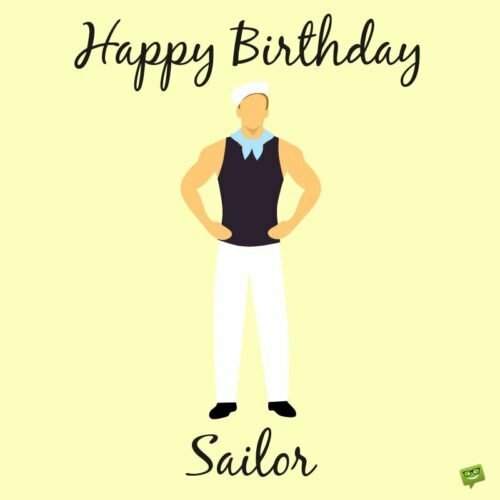 Birthday Wishes for my Sailor | All My Love, Captain! Sailors, also known as mariners, seafarers, or seamen, perform one of the most important jobs in the world. But being a sailor isn’t very easy since they often find themselves for very long periods of time away from their friends and families owning to the fact that their job requires them to spend vast amounts of time at sea. This is undoubtedly one of the biggest perks of being in the life of a sailor. It is against this background that it becomes very imperative that whatever birthday messages that you send to the sailor in your life when they are at sea be very sincere, heartfelt and touching in order to show them how much their presence in your life really means to you. And as usual, we know that sometimes coming up with the right words can be a little bit challenging, which is why we always make sure we provide you with the solution by giving you free access to dozens of wonderfully written messages. 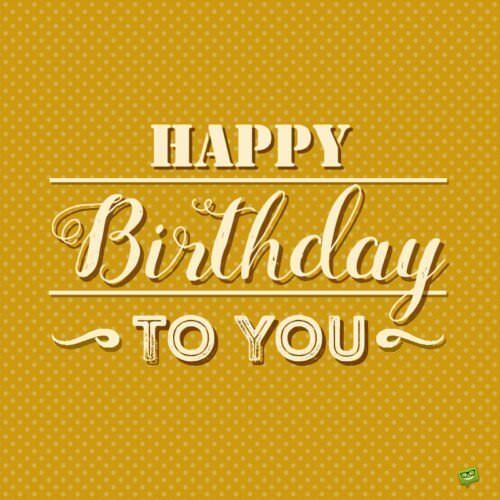 For example, below we have very profound birthday wishes that anyone can send to that wonderful sailor you know on their birthday to express a variety of deep feelings. 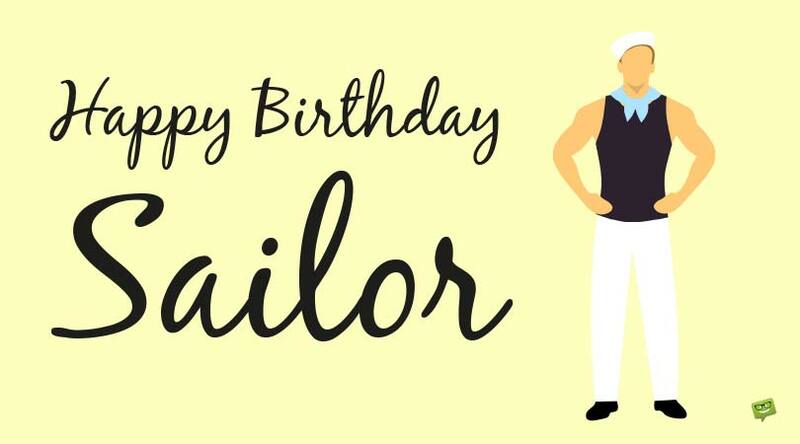 Sending any of these beautiful birthday messages to your sailor would make them feel so much loved and know how much you think about them despite the distance separating the both of you. As you set sail, may you have all the fun and happiness in the world. I love you so much. 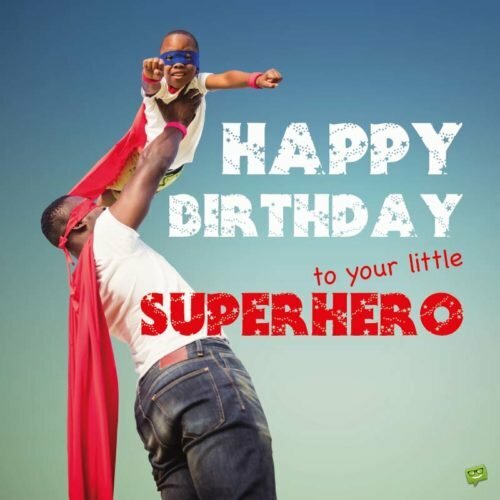 Have an amazing birthday! Bon Voyage! On your birthday, may your heart overflow with all the purest forms of happiness and joy that this universe can offer. Have a fabulous day. My boring life instantly transformed into an interesting movie, the moment you walked into it and showered me with love. For bringing me paradise, I promise to love you until my last day on earth. You are not just an important thing in my life, my love. You are my everything. I know my heart is forever safe with a loving person like you. You are all I ever wanted in a partner. The hardest thing for me is to say goodbye to my loving man. Know that you will always be with me in my heart. And please don’t hit anything hard. Happy birthday to the best sailor in the world. Whenever you encounter any darkness in life, just trust in our love because it would light the way for you. Today being a special day, I asked myself a special question: why do I love you so much? About a minute later, I came up with over a million reasons why my heart loves you and can never stop beating for you. You are such an amazing soul who deserves to be celebrated every blessed day. I loved you yesterday, I love you today, and I shall love you until the end of time. Happy birthday, my sweet sailor. 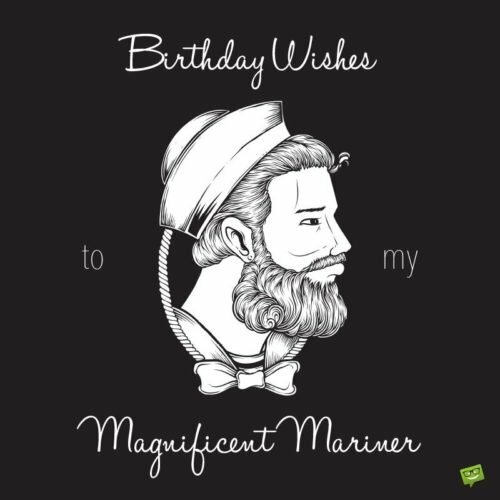 Birthday Wishes to my Magnificent Mariner. I am missing you so much, and I pray from the depths of my soul that you are happy wherever you currently find yourself sailing. Take care, and do have a lovely birthday. I am already feeling the emptiness of your departure. I am addicted to your love and never want to be free from that addiction. Happy birthday, babe. May you have fair winds and calm seas. I love you so much. Babe, if I had wings, the first thing I would do with it would be to fly straight to you because I miss you more than the sky at night misses the brightness of the sun. What I wouldn’t give to spend your Big Day with you! Darling, how I wish you weren’t on duty and thousands of miles away from me on your birthday. However, I take solace in the fact that we shall have a fabulous celebration on your return. 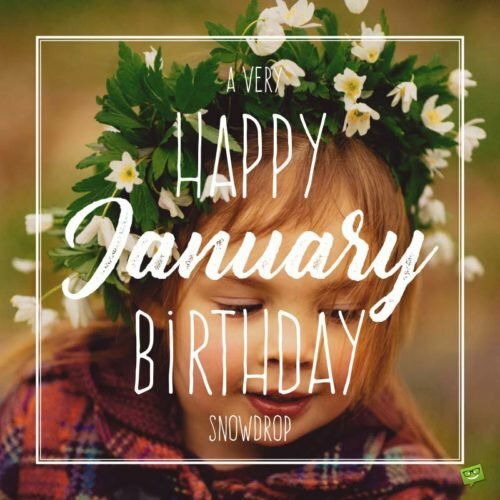 Enjoy your special day, and take care. Honey, I miss you so much on your birthday, and I know you miss me too. Your absence by my side prevents the sun from shining. Please come home soon. I love you much more than words could ever have the ability to express, sweetheart. I will always miss your company whilst you are away. Happy birthday, Captain. Here I am missing you when I should be planting kisses on your lips and hugging you like crazy. My best wishes, my love. As you embark on your voyage, do know that if the waters get rough, our love would calm them down and guide and pave a way for you to safety. I miss you so much, babe. 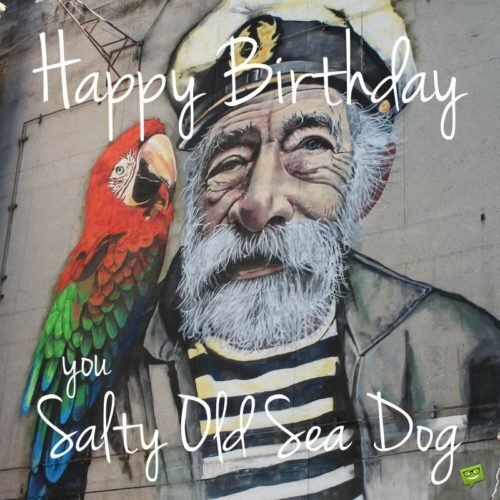 Happy Birthday, you salty old sea dog! All I want is you lying in my arms right now. How I wish you and I were sailing together. I am in dire need of a hug from you. I miss you every second of the day. My dear, do you see all the water that surrounds you? My love for you is deeper and larger than it. I miss you whenever I breathe, sweetheart. As long as the sun keeps burning, I will love you. I can’t wait to be in your warm and loving arms again. My days are so empty, and my nights are so cold without you by my side. Hurry and come back home, so I can hold you one more time. May the Heavens protect and constantly keep you happy on your sailing trip. I can’t wait until the moment we are in each other’s arms again. Happy birthday to the one who blesses me with every desire of my heart. Wherever you voyage to, be rest assured that this heart that lies in my bosom beats only for you. Love you. Bon Voyage! You have added a lot of meaning to my life with your love. You are the best thing that ever happened to my love life. Happy birthday, my handsome and courageous sailor. Stay safe and blessed. I never thought your kind ever existed in this universe. People like you are extremely rare to find, and now that I have found you, I will never let go of my love for you. Happy birthday and have a safe and happy trip. My top most priority today is to put smiles on your face because you are my world, honey. Wishing you very fair winds and a clam sea. Enjoy your day. Hello love, there is not much to complain about life with you in my life. You make everything in my life perfect. Wishing you good luck and God’s protection on your trip. May the luck that you have brought into my life with your love fill the sails of your boat. Every day, I discover new reasons to love you. Happy birthday, sweetheart. There is nothing that can measure the number of times I think about you in a single hour. As you set sails, know that you will always be on my mind. Few women are lucky to marry their first love. You have never stopped loving me from day one. Wishing you favorable winds and calm seas. Keep the dry side up and the wet side down, my handsome sailor. Looking forward to meeting you soon with kisses and hugs. I am so overwhelmed by the work you put into making our union a success. Your love, kindness and candor are one of a kind. Happy birthday, and have a smooth sailing. My proudest moment is seeing the passion you have in serving your country. Keep the waters out of your boat. Happy birthday, love.